Melfann's domain: Sick of Valentine's Day? Do you cringe on THAT certain day especially when flowers cost 5 times its usual prices and couples are on the streets, shoving their status in your face? 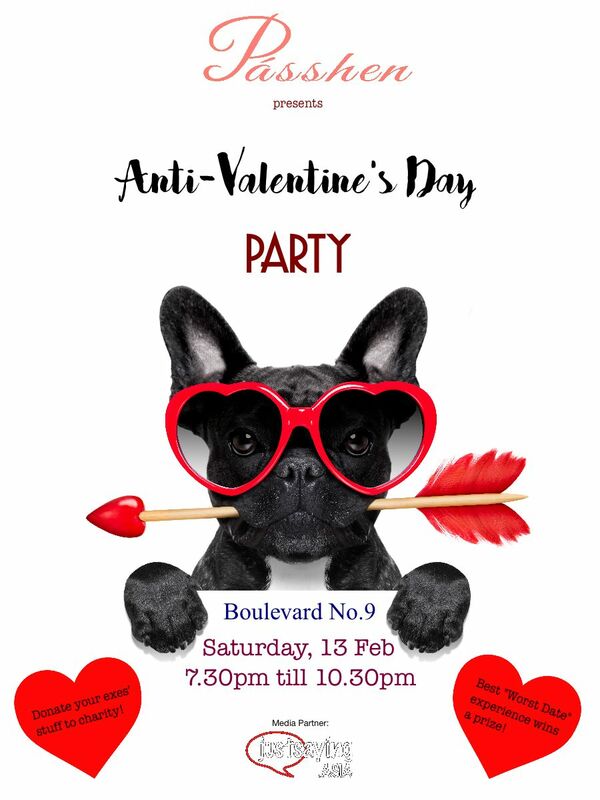 Join me and other like-minded folks for an evening of fun and games where we take the mickey out of Valentines' Day and do the world some good by donating our exes' stuff to charity. Give your "Worst Date" story and the best one will win a prize! Entrance fee starts from $40 and includes dinner plus 1 drink.